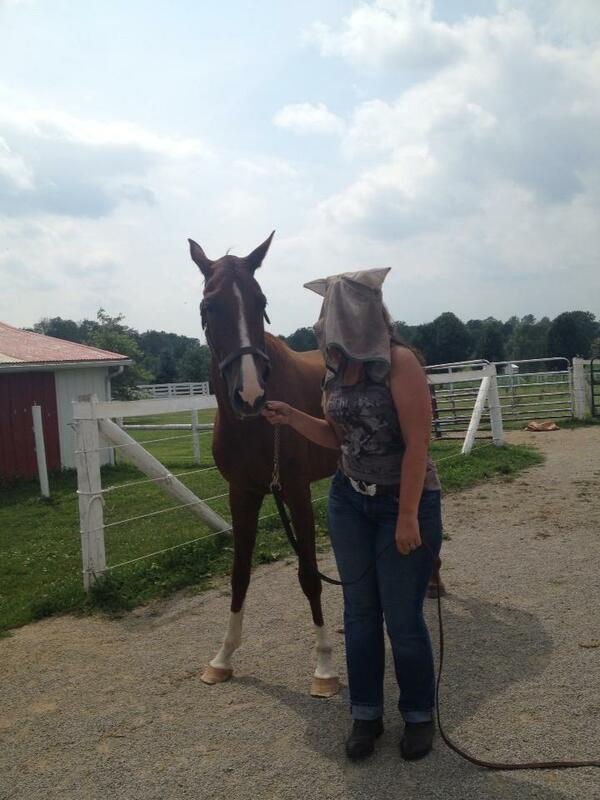 Who needs a fly mask? Most people probably think we are insane for celebrating our horse’s birthday. We took the opportunity to combine Fiz’s 5th birthday (July 27th 2013) with Kayla’s 30th birthday (July 28th 2013) and have a nice little party at the barn. We had a nice turnout and good times were had by all. Fiz and his friends enjoyed the birthday cake made from molasses and grain, carrots, and apples.